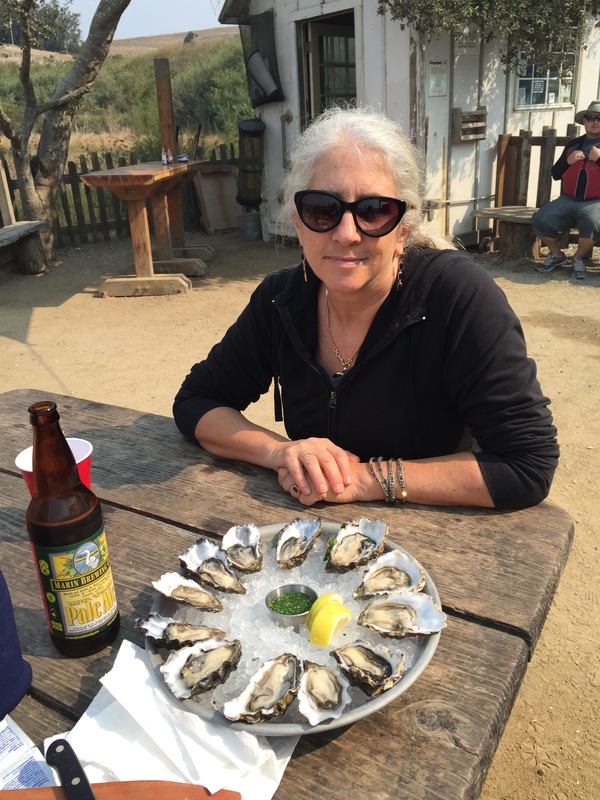 Numerically speaking, this San Francisco Favorite is #5 but really the Hog Island Oyster Farm in Marshall, CA is the CCC’s Number One San Francisco Favorite. 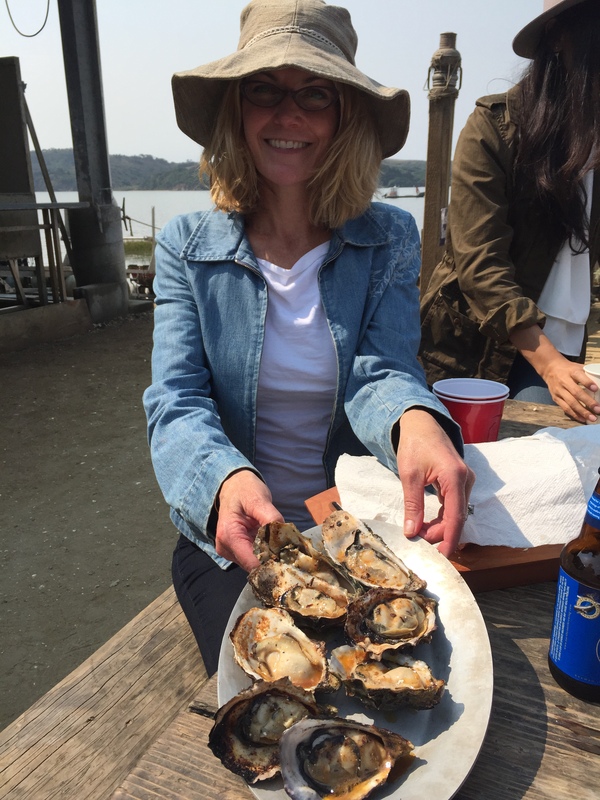 Located 50 miles north of SF in beautiful Marin County, the Hog Island Oyster Farm is most special to me. In my two decades of living in San Francisco, no place holds so many joyful, delicious, and occassionally silly memories. (Ask my husband, Brian, about the time I offended a lady over the oysters she ate in Las Vegas. I didn’t mean to be snooty.) 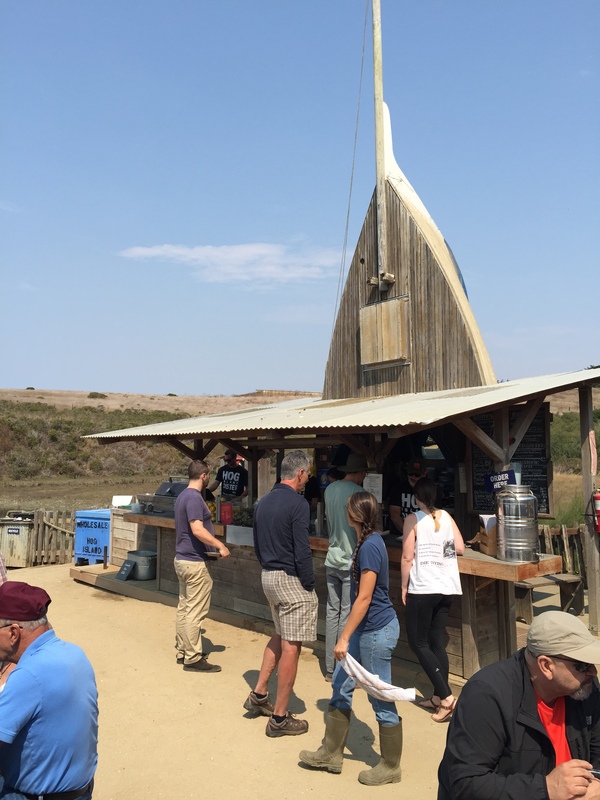 There is no better place than Hog Island for savioring freshly shucked oysters while you sip a glass of champagne and soak in the sun (I’m not meaning to be snooty. 🙂 ). 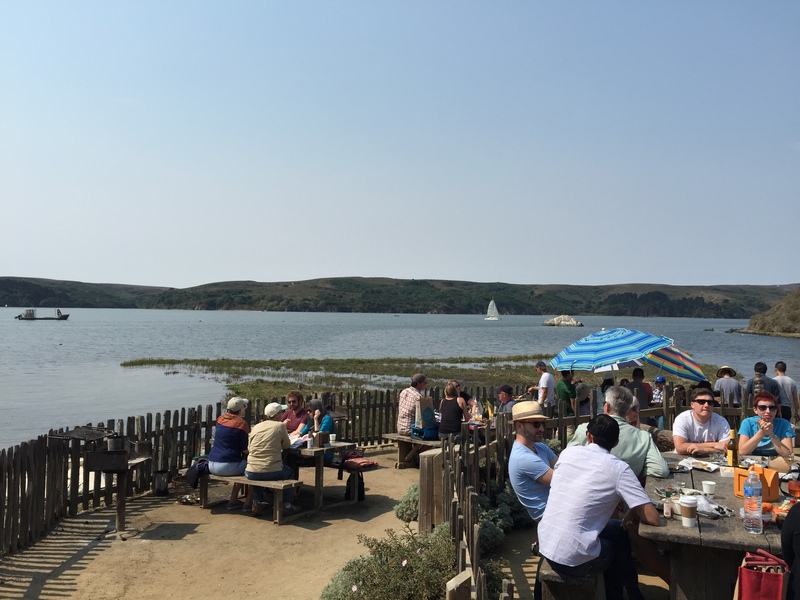 Truthfully, there is nothing snooty about Hog Island Oyster Farm: rustic picnic tables overlooking Tomales Bay with the hills of Tomales Bay State Park in the background. It’s an idyllic locale perfect for appreciating the good things in life with your friends and loved ones. 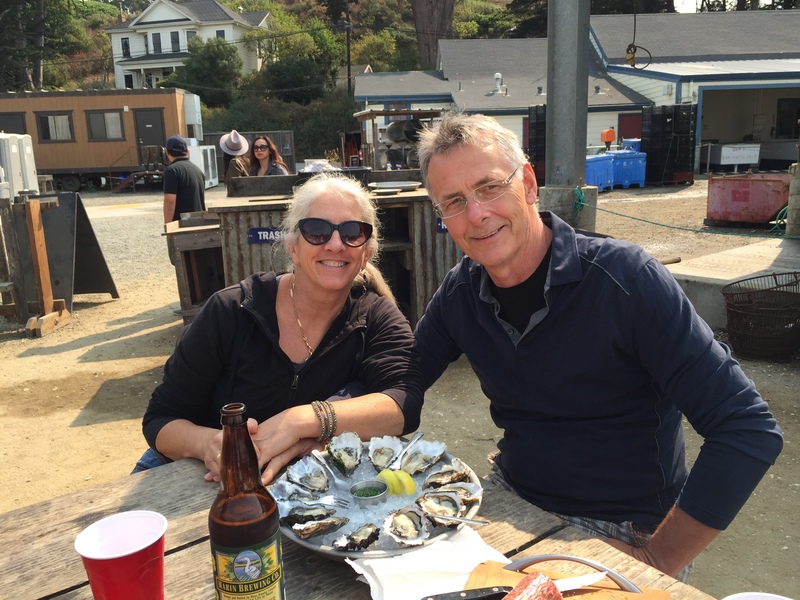 If you are a tourist, Hog Island is a great place to observe us local folks engaged in our Northern California lifestyle, that is, eating oysters and drinking champagne (we don’t mean to be snooty). 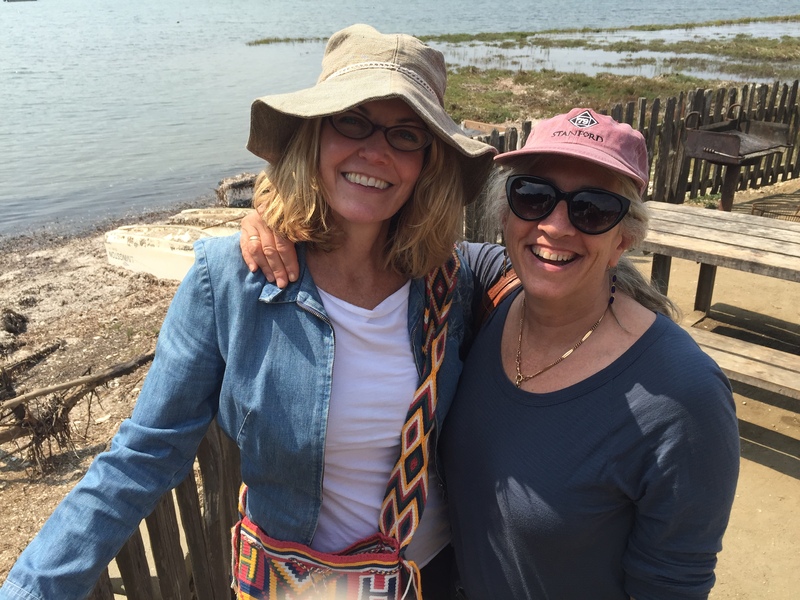 Sandy, a fellow nurse practitioner, world traveler, and good friend for over 20 years, looking glamorous and ready to enjoy some of Hog Island’s very best. I don’t know how Hog Island is able to raise an oyster that is both briney and buttery. Fabulous. The secret to a great Hog Island day is to bring a picnic. You are allowed to bring anything you want, except the oysters which you must buy from the Farm. You can purchase them shucked or shuck them yourself (much cheaper). Sandy and Jim looking relaxed and happy. How could they not be? BBQ Oysters anyone? These little treats are not to be missed. Perfectly grilled and dressed in a chipotle butter sauce. YUM! The Boat. This is where you order and pay for your oysters. They also serve decent (but overpriced) wine, cheese, and charcuterie. 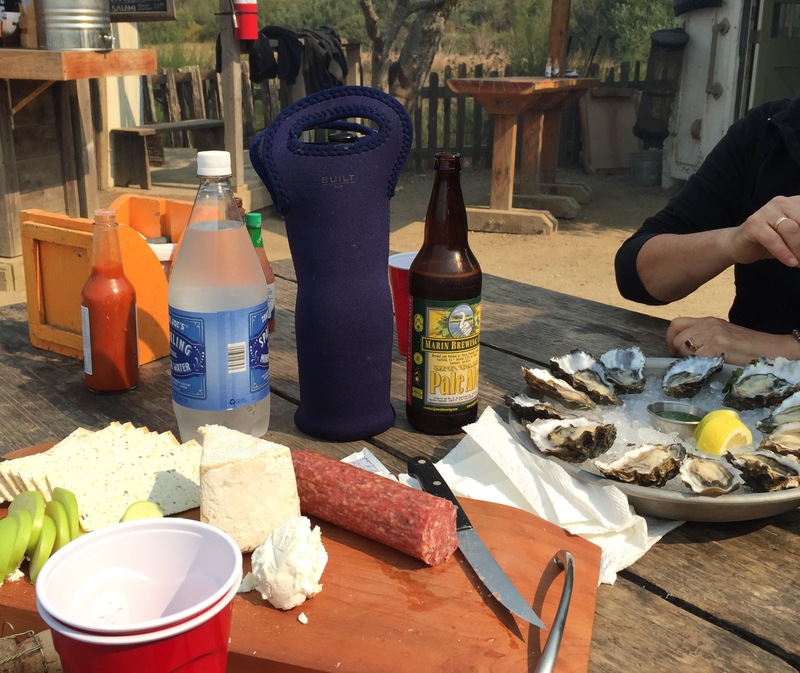 Experienced Hog Island devotees supply their own provisions. The Hog Island picnic grounds. The inner tables are first come, first served. Get there 15-20 minutes before they open to avoid a wait. The outer tables are reservation only. The tables book up 4 months in advance. No, I am not joking. Jim and me soaking up the sun. Sandy and me. Best buds. 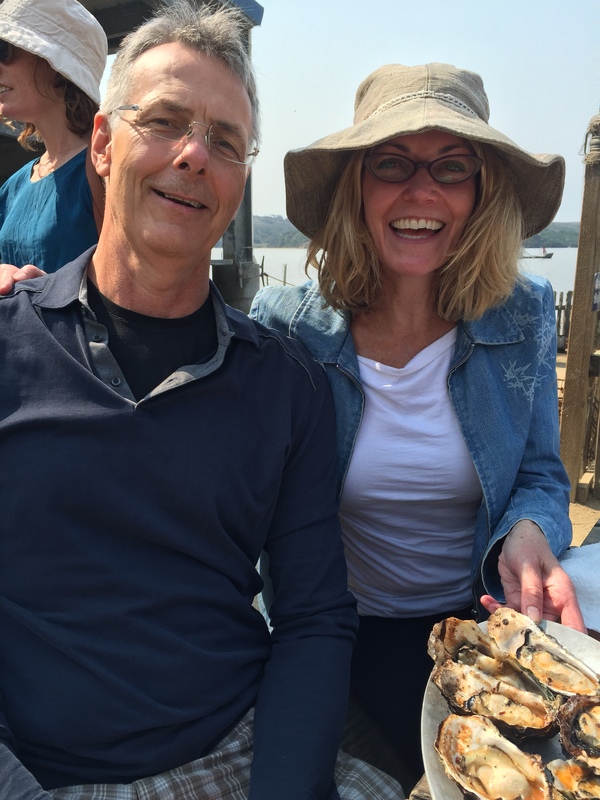 Thank you Sandy and Jim for coming to visit and creating another happy Hog Island Oyster Farm memory for me. Here’s to the good things in life: friends like you.